There still might be snow on the ground but some of us are turning our thoughts to spring and with it, the start of the home buying season. Buying a new home can be a stressful and challenging process. You want to equip yourself with information and confidence that you're making the right decision and for me, that meant relying on my trusty Excel spreadsheet. I'm an Excel fanatic and can churn out a dozen spreadsheets in no time flat. So when it came time to evaluate and compare options for our new home, you can bet I made files full of complicated spreadsheets... tables comparing historical price values in the area, tables calculating percentages of asking price vs selling price, tables projecting mortgage costs, tables with 'what if' bid price scenarios. It was a complicated, crazy mish-mash of calculations, and I loved it. But it could have been easier. When it comes to researching new homes, homebuyers are mostly doing it on their own. Sure, you can ask your real estate agent for prices of comparable houses and get their expert opinion, but its much more difficult to quantify the condition of a home and other elements which factor into your bid price. Wouldn't it be great if there was an app that could do all that? It turns out one exists! 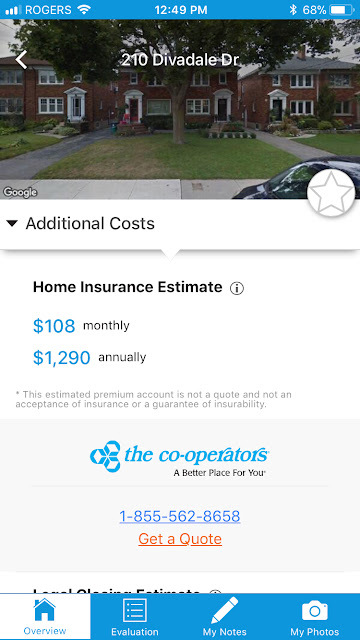 The Co-operators reached out to me recently to let me know about their new Home to Be app for Ontario home buyers. This free and easy-to-use app takes out the guesswork and provides information on what a home is really worth. I decided to test it out and see if the data it provided for our old home address was similar to what I found with my own research. 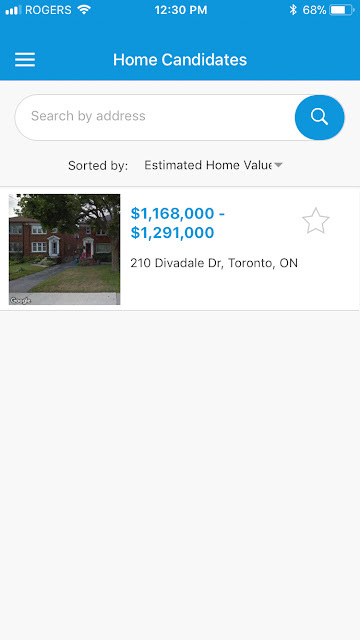 Yes, American friends, those are the ridiculous true prices a 1300 sq ft semi-detached home sells for in midtown Toronto. Crazy, I know! But, let's get back to the app. Asking price isn't the only thing to consider when buying a home and here's where the quantitative and qualitative information Home to Be captures becomes really valuable. Great information to know when you're determining your offer, but there's other things to consider when setting that price. Home to Be also helps you evaluate the physical condition of a particular home and uncover hidden expenses. I thought this feature of the app was extremely helpful. By comparing elements of the home like the roof, windows, mechanical etc. 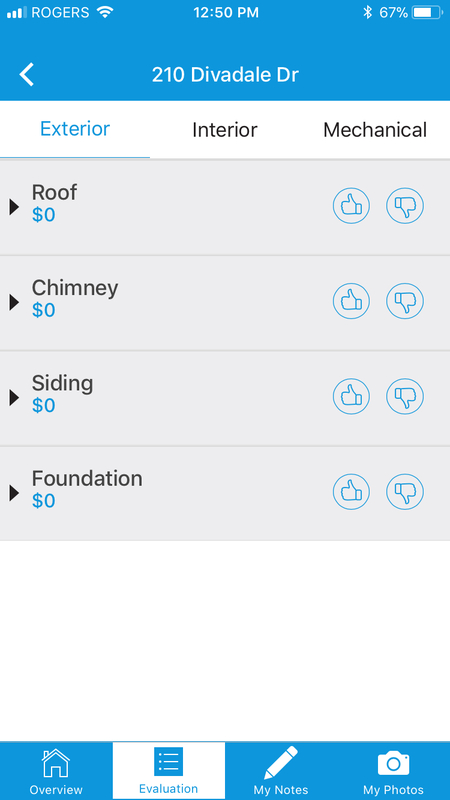 to pictures showing examples of good or poor conditions, you can calculate an estimate of how much repairs would cost you. Genius! You can have all of that information right on your mobile, whether you're considering one house or twenty different options. Overall, I thought the app was very intuitive to use and provided a wealth of valuable information. It provided estimates similar to what I had found through my own research and identified important aspects I hadn't even considered. I wish I had it when we were house-hunting - it would have saved me a lot of spreadsheets! you've got your eye on a dream house. Spotted your 'dream house' but you're not in a position to move just yet? Save that address in the app so you can keep track of current prices and get an idea of what your dream house might cost you. I've done that with a dream property we spotted in the country that would be ideal for retirement someday! 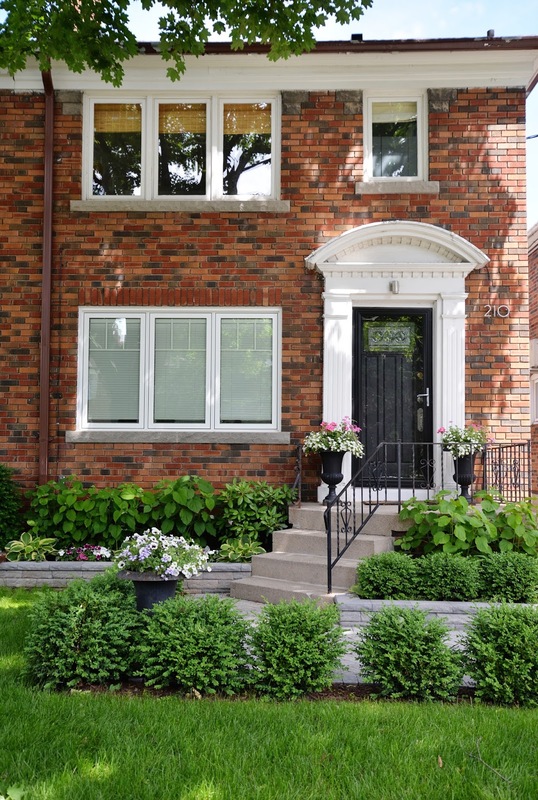 you want a general sense of house prices in various neighbourhoods. Type in different addresses to compare price ranges. you're a real estate junkie, visit realtor.ca daily, and just like staying in the know on the real estate market. I'm totally guilty of that! You can download the app to your iPhone or iPad from the Apple Store or Google Play Store. Are you or have you recently been house hunting? Did you have any frustrations with the home buying process? This is a sponsored conversation written by me on behalf of The Co-operators. The opinions and text are all mine.